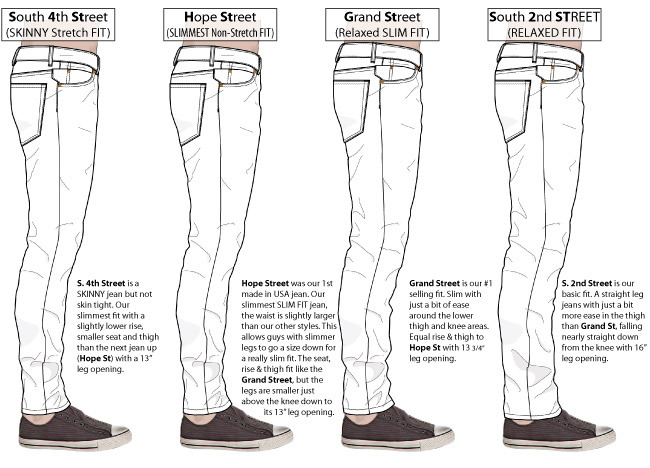 Review Men's Jeans Fit Guides for sizes 28 to 38. For sizes 40 to 50 review Big Men's Fit Guides. Women's Jeans Fit Guides sizes 24 to 32. Men's Shirts Fit Guides sizes small to 4XL.